First, we learn to breathe in ease. Doing so, we teach our bodies that breathing in ease is a way to calm presence. Second, when practicing asana (yoga poses) we intentionally put ourselves into stressful physical positions. The normal response to this is panic, quickening breath, and bodily tension. But then we are reminded to breathe in ease. Doing so, even while moving in asana, our bodies find breath as the way to ease and calm; then asana becomes easy. Third, we listen to ourselves and become more aware of stress and disease. Without fail, this heightened awareness moves us to evaluate why we are at dis-ease. Thus begins the new way of being which opens each yogi to evaluate their personal and community behaviors (called yamas and niyamas). This change is not a dogmatic program of religion or psychology, not a new path of sports medicine, or a combination of physical exercise steps; but this martial art of the soul is a drawing forth of the true inner self to teach us what we knew but have forgotten. Indeed, it is the truth-force (satyagraha) of the practice and its’ available for everyone in every condition. Thank you BAD YOGI MAGAZINE for publishing yogainspirationals 74. Read and share. During my seventh year practicing yoga I started learning the sitar. Immediately I realized it was a hard instrument to play and its technology is ancient: there’s a huge gap between frets and the strings which are painful on the fingers; the metal sitar pic winds tightly on the finger and pinches; the instrument’s lightweight strings go out of tune easily and there are 21 of them; but most of all, the traditional playing style requires sitting on the floor with the left leg crossed under the right while the sitar neck rests over the right thigh with the sound gourd perched on top of the left foot. This position is hard on the left knee, back, legs, hips, and both ankles. At one point during my practice in the last few months, I started doing yoga before playing. I needed to set my legs, hips, and back at ease. When I did this first, I realized I could sit longer and concentrate better and my yoga practice tied directly to sitar practice became my daily ritual. This two-step approach to sitar practice – beginning with yoga – became my entre into the world of classical Indian music. I now view yoga as my commencement ritual, and I won’t even try playing sitar without first doing yoga, or at the very least, until after breath work. Yoga and sitar, including savasana, tune me up for my day; now I hesitate to go out in public before this commencement. COMING UP, Stretch Ride for bikers! Hello yoga and biking/cycling aficionados. I’m inviting you to one or both of the last two “stretch rides” at Superstition Harley Davidson as part of the yoga and leather program I conduct for SHD. The last Sunday of the month (March 31 and April 28) meet 10:30 am in the west parking lot at Superstition HD. On the 31st, we’ll ride about 20 minutes to a private spot close to the Superstition Mountains. There we’ll spend 20 minutes in mindful presence and do a simple breathing exercise. Then we’ll walk to our parked bikes where I’ll demonstrate – and you practice – six ways to use your motorcycle as a prop for stretching. The entire ride and stretch movements will only take about 75 minutes; afterwards, people can go their own way. This is not an all-out yoga class, but a way to adapt yoga movements to parking lot stretching with the help of the bike. It’s something you can do on your tours and rides. No special clothing or props required. The motorcycle is a steady prop, but also movable which means we can use it anywhere; and that’s the beauty of the stretch ride, where we focus on both conscious breath (with awareness) and easy stretch moves designed to keep us riding longer. I hope to see you on March 31 and/or April 28 as we collect our place and presence in the midst of busy lives. ps The stretch ride will also include a few safety tips I’ve learned as a MSF rider/coach. It never hurts to have a reminder about safe riding so that we can stay in the saddle. Shipra Saraogi (pictured) at the Usery Mountain Regional Park, Mesa, Arizona. #MotorcyclingyogiG teaches yoga for riders (YOGA AND LEATHER) at Superstition Harley-Davidson in Apache Junction, Arizona. His classes demonstrate to riders how they might use their bike for a prop to stretch when taking a break from the road with the goal of keeping riders in the saddle. Shipra Saraogi, yoga teacher and performance artist from New York City, stopped by Superstition Harley-Davidson and the Arizona desert for some warm up-on Greg’s 2016 HD Road King. This not recommend or taught in Yoga and Leather. March 31, 2019 is the date for our next “Stretch Ride,” in Arizona led by #motorcyclingyogiG, Gregory Ormson. Meet at Superstition Harley Davidson 10:30 am. Ride to the desert, stretch, breathe, pose. “Conducting the Awesome: What I’ve Learned from 7 Years of Hot Yoga” is live on elephant journal. This is my 11th article for elephant journal since September, 2014, and the latest installment (73) of what I call YogaInspirationals, a collection of my yoga writing published by elephant and 12 other national and international magazines, Websites, and public social media sites. I write lyric nonfiction and hybrid, and right now I’m pitching my latest work – a hybrid nonfiction piece – on drumming, and things that happen when I go to a rustic cabin in northern Wisconsin I share with my brothers. I call that place Oz no matter what roads I take to get there. It’s Oz to me even without a wizard, a Toto, or a Dorothy. Thank you for comments, support, resharing, etc., Let’s keep on conducting the awesome in yoga, in writing, and in life. Once upon a time a mystical movement became water and moved from east to west. The gurus of this movement dreamed it would take root, grow, and change people in the new land. A bold vision drove their mission; they were certain and sure. The gurus taught students but were confused by them. They were tall, loud, and rich, but they listened to their gurus and absorbed the way of wisdom and ancient discipline. The gurus were overwhelmed by bright neon lights and an infant culture. They misplaced prayer beads and lost their way. Their movement danced and shape-shifted. It wasn’t what the gurus expected but better than they could have hoped for. In a short time, the practice prospered. Many in the new land feared it, but someone discovered it was good for prisoners, alcoholics, the sick, those suffering pain, and even angry youth. The rich and healthy began to think that perhaps the gurus offered good medicine. Western teachers, overlooking spirituality of the way, taught their version. The culture moved fast, like a river’s rapids. Westerners, motivated by money, fed off the illusion of freedom. The west land had great diversity and creativity; and when coupled with entrepreneurial spirit, energy drinks, and ambition, yoga flowed across the land. This was, after all, the guru’s original vision. The movement became a symbol of youth, change, and the culturally hip. Athletes and celebrities endorsed the practice and photographs of yogis posed in peacock asana were featured in glossy magazines, billboards, and Instagram glossies. THE POWER OF OM: rediscovering the deep, abiding peace of coming home in a frantic world. “We are stardust, we are golden, we are billion-year old carbon…” Lyrics from the song Woodstock suggest that we are made of cosmic energy and matter. We have a hard time believing it because there are very few places that affirm such a grandiose and luminous being. But when we yoga, we participate in a pattern that moves the stars, and positions us to touch an inner OM at the core of our being. In a soft chant of OM, rooted and expressed from the core, our cares are set free. Then we note our deepest truth: we are beings at one with a divinely animated critical mass of stardust and carbon waiting to meet and welcome us home. But cultural voices bombard us with an unending cacophony of negativity and dismissal. This poisonous milieu is designed to make us feel small and inadequate, serving us from a menu of strife and anxiety. News and current events can leave us feeling like we’re a nonsignificant cog in a great drama that’s happening elsewhere. Once a day until December 6, Epiphany, I’m blogging a six point synopsis of my yoga writing from the last seven years. These blog posts are all arranged by: 1. The primary sentence. 2. The theologic and yogic summative word. 2. An explanatory paragraph. Your respectful comments are welcome. Yoga’s internal work (the heat of tapas) teaches the yogi compassion for self; in savasana’s moments of rest, the yogi is anointed (bathed) in yoga’s healing tradition. This is not a cosmetic make over, but a weaving together of a timeless process which synthesizes everything up to that moment in a deep affirmation of life itself. Savasana is the yogi’s reception of yoga’s physical, non-physical, and metaphysical medicine. In the container, at the confluence of yogi, guru, and healing practice, a drop of sweat takes one to self and self to God. The yogi – a vessel devoid of armor and ego – incarnates a healing curriculum in a generative engagement translated to a focused biology of belief and concomitant mind/body/spirit reshaping. 4. A path to community opens with the relinquishment of armor. In a lifetime practice, the yogi inhabits a ritual container where they are steeped in hours of wordless, focused being. This fortunate choice of assembly over disassembly shapes them through a soul dialysis that cleanses. Their inner fire is animated by breath and stilled in meditative gaze. Their embodiment of asana and mobilization of prana rises anew in the “fierce breath” of simhasana. This breath elevates sleepy diaphragms and makes avatars of humans. Yogis come to know their practice braids them to a light not of this world, and their time on the mat is not like the rest of life; neither is a yoga class just another class but a life-saving reclassification of the nature of being, steeped in a history of insight, and grown from the dimensions of meditation and mindfulness. Yoga as moral and physical compass is revealed in stages as the yogi begins with sankalpa, or solemn vow for practice. Step by step through intention and awareness, the yogi encounters the core tenants of hatha which bring them to self. There, hand in glove with self and the philosophical satyagraha of the practice, the yogi is transformed. Yoga braids us into a light not of this world. Its blueprint is not designed for appeal. It might be fashionably popular now, but popularity is built on a thin crust and designed for obsolescence. It has no Superbowl or competitive league. Yoga’s popularity has not inspired a mass uprising; it doesn’t lobby for causes or political persuasion. Yoga is not well understood by the masses. It is not cheered or toasted; it has no Super bowl or competitive league. Yoga practice draws from the force of a tall tree with deep roots, and to honor this ground, yogis stand in good relation to the craft, good relation to self, and good relation to one another. Asana is the body of yogic truth, and individual expression of yoga’s eight limbs reveals the efficacy of its healing medicine. Yogis breathe deeply in yoga and experience a perceptual shift. This new vision opens to the sacred horizon at which we gaze, and the shift – formed in concentration and attention – purifies our dysfunctional self by transmuting negative poison. Asana and breath follow and yogis learn to re-route any short-sell of self. These elements move us from the core where a magnanimous grounding in the foundational principles (of yoga) proves yogis can handle the dreadful deceits and misapprehensions of our avidya (misperceptions and their consequences). Asana, and the individual embodiment of asana, is made for flawed and taut souls; its work is to release the human beings caught in a play – sometimes not of their own making – as through asana yogis are welcomed into the practice of ease and steadiness . . . where they begin with the exhale. Following the exhale, and its gentle massage of the nervous system, yogis take the deep inhale and their bendable habit grows to a lifetime practice. We keep on keepin’ on and stand in true presence where feet meet the ground. I remind myself that in spite of the surrounding maladies, I must manage to hope. I also counsel myself, and anyone who will listen, that the yoga we do is not just a hobby or something to fill up the time; rather, it is the door through which happiness and joy enter into an arena where we share a divinity that transforms stories from iatrogenic to generative. Thanks to Sivana east for publishing my 70th yoga piece (yogainspirationals). Thanks also to: Yoga International, Yogi Times, elephant journal, Asana Journal, Do You Yoga, Hello Yoga, Tribe Grow, Seattle Yoga News, The Yoga Blog, The Health Orange, Medium, Boa Yoga, and AZ Rider Southwest. Lyric narrative from the inside. Louie Netz, Director for Harley-Davidson’s Styling and Graphics Department once said, “Form and function both report to emotion.” It’s likely when observing a yoga pose, or the stylish symmetry of a Harley-Davidson taking a curve, to believe motorcycles are about speeding through curves and yoga is about perfectly aligned asanas. A yogi on the mat or a Harley-Davidson on the highway both perform their function at a high degree and garner attention, but the brilliance of yoga – and a great motorcycle – is its move from form to function and ultimately to emotion. Like many newcomers, when I started yoga, I thought it was about what I saw; and I noticed people bending into forms that were – at first – perplexing. I also thought it was about what I heard yoga could do for my injured back. I believed if yoga could heal my injuries I would feel better and that would be all I could expect. My yoga evolution was gradual; I practiced to feel better, then to learn good alignment and accomplish more asanas. As a dedicated student, I paid attention to words from my teachers as they led me to correct placement of my feet and hands. I followed their instructions which led me through breathing techniques and transitions. The people, like Rick and Linda from Troy, New York. She was wearing a hat from Superstition Harley Davidson, Peter from Australia, Ron from Hanksville, UT and the unknown fiddler below on Utah state highway 12. Read my 64th Yogainspirationals published by Sivana East, by following the link under article snippet below. The power of a word has always been recognized by schools of spirituality and in leadership studies. In the Christian Gospel of John, one reads “In the beginning was the Word.” The Rik Veda strikes the same tone, “In the beginning was Brahman, with who was the Word.” There are other examples, but the centrality and power of Word is the common insight. An active yoga practice does not demand that practitioners choose a mantra, yer it can center one’s practice and improve an understanding of our identity in the world as both spiritual and physical beings. Gregory Ormson saw yoga on his first trip to India in the ’70’s. Currently, he writes and teaches at MOTTO YOGA in Queen Creek, Arizona, and leads his signature program, “Yoga and Leather: Yoga for Bikers,” at Superstition Harley Davidson in Apache Junction, Arizona. His doctoral degree (D. Min), from the Chicago Theological Seminary, focused on the power of touch for ritual healing in liminal environments. He’s worked as a public speaker, college teacher, retreat leader, corporate trainer, baseball and soccer coach. Ormson graduated from The University of Wisconsin, La Crosse (BS), Northern Michigan University, Marquette, Michigan (MA), Trinity Lutheran Seminary (M. Div), and The Chicago Theological Seminary (D. Min). Along with Sivana East, Ormson’s writing on yoga is published in 11 national and international journals, magazines, blogs and Web sites. He writes on yoga, motorcycling, music, and The Midwest. Asana is effortless when it is an expression of gratitude. By mobilizing prana – accompanied with mindful movement – effortless, joyful expression is set into muscle memory. The premise that cellular health aligns with thought and intention (the biology of belief) is the reason yoga pays attention to mental outlook, for while stress is perceived in the mind, it is felt in the body. Activating the joy paradigm provides the opposite effect yet happens through the same process. In the workshops I’ve done at MOTTO YOGA, I’ve included others to help lead the experience. In January, Dan Meyer showed up and dropped a REAL SWORD down his throat and talked about how that is worship for him. In the other workshops, I’ve had Cindy Cain and Lee Swenson accompany me with fiddle, guitar, and voice/rain stick. On (Sunday) for the “YOGA BREATH, BREATH OF LIFE,” workshop, I will be sharing leadership with Katori Noor, a certified yoga teacher and has an extra 300 hours trained in yoga and ayurveda, and another 40-hour training in yoga sound healing. She’s also bringing her incredible sounding gongs and singing crystal bowls for the two hour workshop on Sunday at 1:00 pm. I’m planning a fun activity and sharing a tip from one of our students that grew up practicing yoga in India. I think this will be instructive for all and could even be transformative for your yoga practice. So carry on with your lives and good work; breathe deep, and transmute the poison that seems to be so very present. Take care of yourselves. And maybe I’ll see you at the workshop this Sunday at Motto Yoga. To pre-register, see www.mottoyoga.com and click on the link to workshops. The assumptions of my inherited culture: Euro-American, Lutheran-Christian, mental dualism, WASP, have shaped my perceptions and limit my ability to truly inhabit yoga’s culture. From this conditioning, I’m positioned like a hungry-man at a feast; I taste the food, but the flavor escapes me. My play to be a yogi brings me to discernment where the contraries press me to awareness and lead me to examine the how and why of fate. How did I, a Midwestern male, end up lying on my stomach – top and bottom of my spine arching up at the direction of an ancient Indian mind/spirit/body science – impersonating an Egyptian tomb-protector? My inhale takes me to the mystery of purushamrigasana, a figure with the face of Pharaoh that we call sphinx. Each yogi stretches and lifts at the direction of the teacher: man, woman, Asian, African, American, and each one contributes to the curriculum growing into a great melting pot of diversity and energy. This restless American pastiche is soothed by the flavor of an ancient culture, and in the yoga room, we become part of its recipe. The seekers are everywhere and I praise them. They take off with tender wings to do asana as if they were nimble dancers or the stony sphinx. On the surface, we are childlike; but with each asana, with each breath, I witness a hope in reaching and lifting, learning and growing. The movement became unpredictable, and while nobody took credit, yoga unveiled a curtain and people looked through the mirror to a radiance within. Westlanders were distracted; they didn’t listen to gurus and didn’t read books, but they took to their mats and became present with themselves. They remembered their joy and opened like the petals of a lotus in soft rain. LOOK WHO IS “DOING IT” WRITING ABOUT YOGA! They practice yoga in a 104 degree room when it’s 105 outside. They come from all walks of life: age, race, physical condition, gender, profession, and status. But they all do YOGA to sharpen their mind and focus their will. They show up to strengthen their bodily systems, to ground their minds in the present and deeply draw breath to hold the vital principle. This is inspiring to observe and compels me to write. I love yoga, and I love these yogis and yoginis that keep working, keep activating, keep grounding, keep breathing, keep centering, keep on keepin’ on to make their lives better, deeper, and more leonine. They yoga to embody their asana, mobilize prana, focus the monkey mind, and surrender cares; and when they do, the transforming medicine of yoga in its physical, non-physical, and metaphysical form makes them anew. The yoga journey is a process of transformation, and it’s stunning to observe. This is the privileged observation of a yoga teacher: nothing more or less than friend, companion, and witness to the truth of being. Yogis have been attempting to articulate the importance of pranayama for centuries, and the effort is still relevant because when a person starts yoga it doesn’t take long for them to realize its a breath centric practice which changes everything. The practice of pranayama is an important observance by itself, but is often done in haste, as if a couple minutes at the beginning of class is sufficient warm-up for the real work of asana. Patanjali wrote, by the right control of breath, we overcome ignorance. Breath work is a hallmark of the yogi’s intelligence, and control of breath is intimately linked to the yogi’s heightened awareness of biological and cosmic forces. 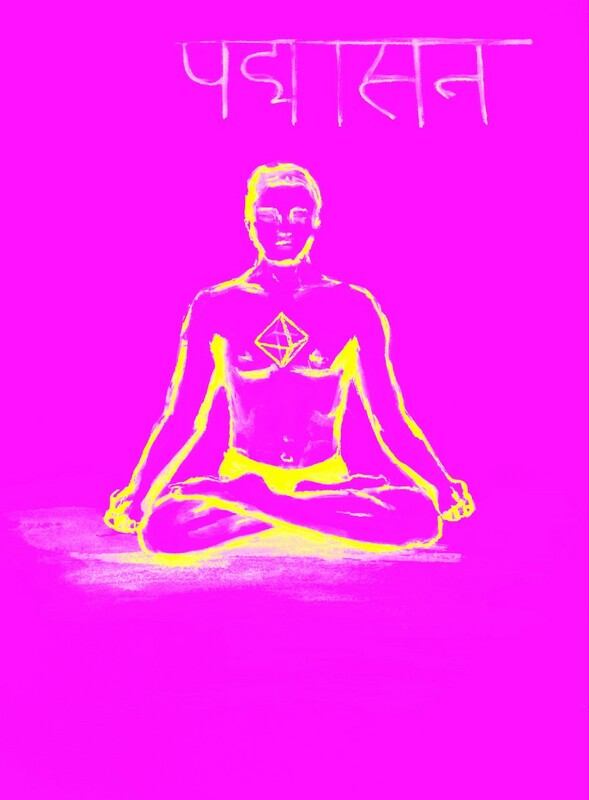 It’s important to concentrate on breath or prana as a distinct activity with its own benefits and techniques as well as a guiding anchor for asana. Some yoga practices start with pranayama before asana while others pay attention to activating and sustaining ujaii breath throughout asana and pause occasionally to work on pranayama. Another option is to end practice with a breathing set. But to fully activate the vital life force, central to building the foundation for yoga and life, attention to breath throughout must be paid. Relinquishment is to spirituality as rain is to flowers. It’s likely when observing the stylish symmetry of a Harley-Davidson, or a yoga pose in perfect aligment, to believe motorcycling is about the eye-catching chrome machine rumbling down the road and that yoga is about what we see on Instagram as yogis strike a perfectly aligned asana. That’s not to criticize this, for each pose represents the probability that thousands of practice hours went into the building these asanas. Nobody shrinks into inflexibility in mind or body overnight, and it may take years of practice to strike a pose where we bend like palm trees in the wind. A yogi on the mat or a Harley-Davidson on the highway both perform their function at a high degree – garnering attention – but the brilliance of yoga is its regression from form to function and ultimately to emotion. Like many newcomers when I started yoga I thought it was about what I saw. I noticed people bending into forms that were – at first –perplexing. To a lesser degree, I thought it was also about what I heard yoga could do, and that was to heal my injured back. I believed if yoga could heal my injuries I would be happy and that would be all I could expect. But there was more. In Light on Life: The Yoga Journey to Wholeness, Inner Peace, and Ultimate Freedom, B.K.S. Iyengar wrote that the problem of self-healing is especially difficult for those who have achieved positions of prominence – like physicians, therapists, healers and other achievers – yet the generative therapist, healer, or teacher deepens their wisdom when they understand their greatest strength may also be their greatest weakness. Iyengar’s voice is clear when writing about the pitfalls of human pride. Considerable achievements also bring in their wake considerable dangers. An obvious one is pride – not satisfaction in a job well done – but a sense of superiority and difference, of distinction and eminence. This is why healers working from the prepared space of their therapeutic container, yoga studio, or another more public arena, must have a strong ego, but not a big one. Self-healing can be more elusive than roping fish. To move from a place of high achievement to self-healing is hard because it takes humility. It’s also difficult because the place of humility is not a place. Though most of us do not have such a grand purpose for mantra such as union with God, a well-chosen mantra can help us reconnect to a healing place, find a mother lode of peace andcontentment, or perhaps even move the impossible to possible. Yoga Inspirationals number 52, first published in DOYOUYOGA.COM, July 5, 2016. Coaching may seem a little controlling and something unnecessary when we’re talking about the behavior of independent adults, but in yoga space, coaching is not about independence; rather, it’s about cooperation. Because cooperation is not a universal trait, many yoga studios resort to posting their rules and regulations in an obvious, public place. It’s not that people are trying to be nasty, but some simply are less aware of their behavior. These rules are posted to help everyone sharing space cooperate with one another when there are a variety of simultaneous needs and norms. Rules and regulations help form a standard behavior that may not appeal to everyone, but aim to limit chaos and unbalanced inconvenience. Listening to the way coaches talk, I’ve learned about the concept of “behavioral targe ts and performance targets.” I’m not interested in performance targets in relationship to yoga (because that seems a metric designed for competitive sports), but my curiosity about behavioral targets has led me to think about how I would coach newcomers to yoga. Cooperation requires a different set of group skills than individualism, and the guidelines for studios will only work with cooperation. In yoga, you might hear that nobody is there to judge you…and I think that’s true. But, people do evaluate you. Your teachers evaluate you because they want to know where you are in your practice and figure out how best to help you. They evaluate me too, it’s just the way humans are. With the inhale, exhale, and hold, I’m moved toward completion. I learn my place, my contentment, is anchored in the link that yoga welds to me. These simple moves are a stunning antidote for worry. Yoga’s inhale and exhale has become my spiritual DNA, lodging in my soul and energizing my spine. I fasten to this deep core with breath and meditation pioneered through music and time. I embody asana, mobilize prana, surrender cares, and focus the monkey mind to catch a glimpse of the periphery turned central, the outcome of a new pedagogy fueled by fresh oxygen. I’m slowly refined by fusion of the particular and the universal which rises from within moment by moment. I’m led to a contentment where I know that we are all a beautiful crush of salt and pepper; its savory alchemy spices all material and reforms all biology. This is the how and the way of yoga. It’s been a good experience these last seven months teaching YOGA AND LEATHER: Yoga for Bikers. Next year, I will pan once a month for riders to meet at Superstition Harley Davidson, and then ride bikes to a separate location (park, river-flat, desert plain), where we’ll practice yoga. This practice will also provide each of us with ideas on how to put our minds and bodies at ease when we stop or take a break from riding. Here are photos from one class in January that will set the stage for next year’s YOGA AND LEATHER. In the meantime, I hope you all find a home studio or a place near you to practice. I’m convinced that yoga will benefit us on the road, and the more all of us practice yoga the more we’ll discover this for ourselves. Thanks for a good 7 months. We’ll see you again in October. and many thanks to M.J. Britt for these photos of YOGA AND LEATHER: Yoga for Bikers in the Eagles Nest at Superstition Harley Davidson. Thanks also to Brina Brown and Superstition HD for opening the nest for yoga. Today, spiritual notions of integrated unitary consciousness are popular but suspect. Some people require facts, and without verifiable facts proving esoteric dimensions, will dismiss such notions and think of consciousness and chakra activation as nothing but wild speculation. But quantum studies in the subatomic realm more than suggest that everything is composed of vibrational energy even if we cannot prove it. Yogic philosophy treated this idea by suggesting that anything in matter has previously existed in the unmanifest cosmic womb. Indian philosophy even had a name for this place of pure potentiality, calling it hiranyagarbha, or the Golden Womb, the origin of all creation. Technically, ‘hiranya’ means ‘golden’ and ‘garbha’ means womb, and its symbol is a golden egg. The science of physics has opened up big ideas like the notion of energy as vibration, or a not-yet manifest form of matter. It has helped Westerners accept that matter is not as concrete as we thought. Quantum thought maintains that the unmanifest is as real as each of us here and now, but is unrecognizable until energy and matter manifest or bring it into material form. This is how healing consciousness moves too, for consciousness of a thing also changes the mode of being in that thing which is beheld. The Heisenberg Indeterminacy Principle, from the field of physics, affirms this insight and points out that it’s not possible to observe matter without influencing its actions. And while it’s true that the principle was developed while observing the velocity and speed of quantum particles, it applies to all matter. The Christian church used to be central to my life, vocation, and identity but it’s not anymore. Still, I bring my past theological training to my yoga practice and on occasion I remember a word or idea from my past to interpret how I express and experience yoga. I think of a scriptural passage where the writer is reminding his community that they are not alone. He tells them that they are, in fact, surrounded by a great cloud of witnesses. Traditionally, the cloud meant a mass of condensed water vapor, usually white, or tinged in various shades of grey and black. But in our day, a cloud has come to mean a digital storage space. Ok, that’s cool. But I also see a cloud as a continually morphing group of people that see me on my mat—sweating and putting forth effort—and it’s exactly how I see them. When practicing yoga, I am one member of this cloud, a group of people that witness to each other’s’ effort, practice, time, and presence. I practice in studios with many members. I try to learn names so that I can address them personally. In one studio, I know over fifty people by name. These names remind me that I am not alone—even when my yoga feels like a solitary pursuit. Still, I work to remember each name in our studio because a name concretizes the amorphous nature of a cloud and it tells people they are not just a number but a person with a name. Follow link to story in MEDIUM. YOGA and LEATHER: Yoga for Bikers January 17, 2018 at Superstition Harley Davidson in Apache Junction, AZ. The next class for YOGA AND LEATHER: Yoga for Bikers, is Wednesday, Jan. 17, 4:30 at Superstition Harley Davidson. See how these bikers are keeping themselves ready to Ride On! A BIG THANK YOU to M.J. Britt for taking these photos at Superstition HD. When motorcycling and yoga come together, good things happen. Practice yoga at Superstition Harley Davidson and feel the roar of motorcycles below the Eagles Nest. It’s different, but bikers and yogis have never been afraid of different. This is just a start. Find out how yoga can keep you riding now and into the future. I’ll meet you in the Eagles Nest ! Increased strength and muscle tone through weight bearing and power postures / for large bikes and long tours, building strength for long days on the road. Improved balance by practicing one-leg standing postures / better control in tight U turns and backing. Increased mental focus and coordination, clarity of thought developed by balance and silence in yoga practice / life and death on the bike is directly related to mental focus and clarity. Improved sleep after a hard yoga practice / no dozing while driving, deeper sleep leads to increased energy on the road.